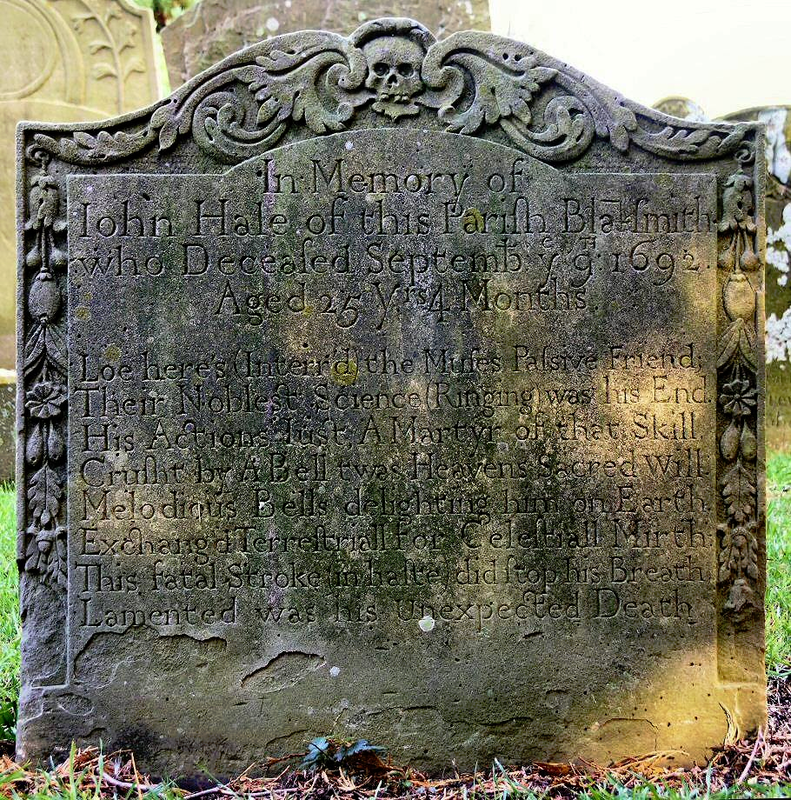 In memory of John Hale of this Parish Blaksmith who Deceased Septemb: y g 1692. Aged 25 yrs. 4 Months. The stone doesn’t say exactly how or why he was crushed but it’s worth a thought if ever you are tempted to fit muffles with the bells up.